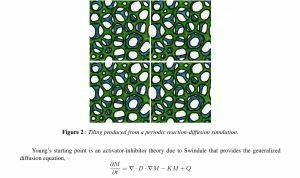 I provide a brief survey documenting the inclusion of cellular automata, periodic tilings and op-art in mathematical art. 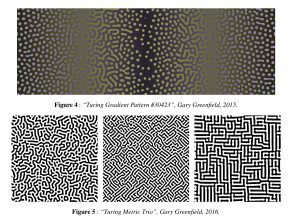 Then I give an overview of the history of Turing-like patterns in mathematical art. 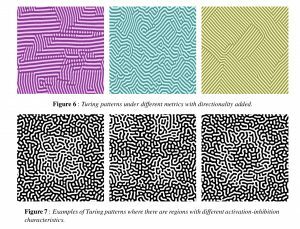 I describe a cellular automaton for producing Turing-like patterns and introduce some new variations. 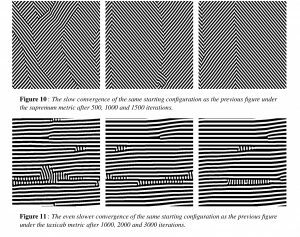 This leads to an open problem concerning the convergence of such patterns. “Jonathan McCabe is a generative artist living in Canberra, Australia. 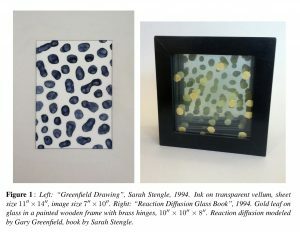 He is particularly interested in theories of natural pattern formation and their application to computer art and design. Amazing use of Turing’s reaction-diffusion equations.